Tesla Model 3's production is now personally managed and directed by Tesla CEO Elon Musk as he says it's his "most critical job' right now. Here is how he will do it. It's a good news that Tesla's CEO is personally taking charge of the Model 3's production. It's good news that they all understand (and I am sure they do) that in light of declining Model S sales increasing the Model 3's production is the most critical job they need to accomplish with the highest possible quality right now. That will improve the investor confidence, inject cache in the indebted company and turn Model 3 per-orders into delivered sales. So Elon right now is improving the Model 3's production in two ways. First he is taking over the production to personally direct it. Second, he is sleeping in the factory: meaning not getting any rest and working on this critical job day and night. This tells me Tesla is really serious about speeding up Model 3's deliveries. According to Bloomberg Elon Musk is back to sleeping at the Model 3 production's factory. This is a real sign that that Musk is personally taking charge of Model 3's production. This means more vested interest. He is not getting any rest and Tesla will soon release its Model 3 production data. If at least the trend in the data is positive, which should be, we should see improved investor confidence in Tesla and reverse of the company's stock price. Here are few tweets by Elon Musk revealing what's happening with Model 3's production. Yesterday Musk tweeted that Doug Field will now only focus on vehicle engineering. He wrote that for now it's better to "divide and conquer." 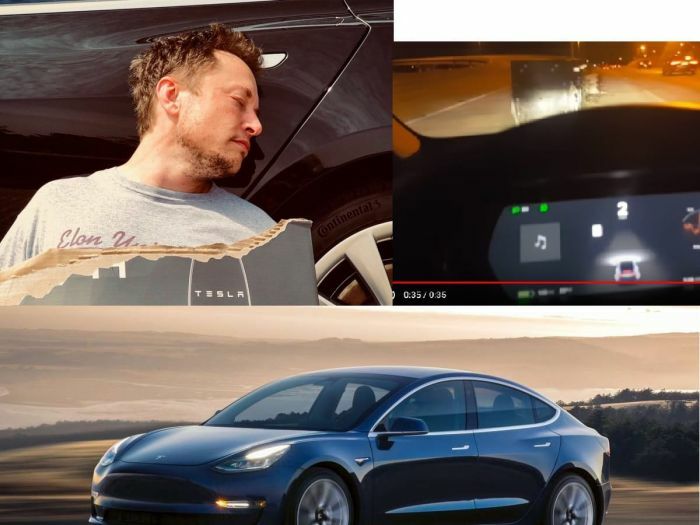 As a result, he takes over the Model 3's production and is back to sleeping at the Tesla factory. Tesla has a strong fan base, but is under enormous pressure to build the Model 3 fast enough to meet customer demand—and to bring in revenue to offset billions of dollars spent preparing for its rollout. People have said that the real reason Tesla Model 3's production is delayed are the robots. Here is how robots and over-automation hurt Tesla's numbers. Perhaps Tesla should hire more people to work and speed up the process of Model 3 deliveries. What do you think? Please comment below in the comments section for discussion. He is sleeping at the plant? Is that a joke- I checked the date to see if it was written April 1. Not a joke Jackie, he even tweeted about it. This means they will work on Model 3 production "day and night." They need to make their targets. Why is it a big deal that he is sleeping at the factory? I'm sure he has a lush and huge office with a comfy bed and shower and everything else. This just saves him commute time. It's not like he is sleeping on a dirty, hard, cold floor.